What Kind Of Ride Are You Giving Your Customers? One of my office mottos is “Our patients deserve an “E” ticket ride when they walk through our door.” For those of you over the age of 40 who have been to Disneyland when you were young know exactly what I am talking about. When you went to Disneyland way back then, you had to purchase a ticket book which contained tickets lettered from A to E. The higher the letter the better the ride, and the best (and most expensive) ticket book would contain 2 “E” tickets. I remember how hard it was to choose which “E” ticket ride that I wanted to use my tickets on. 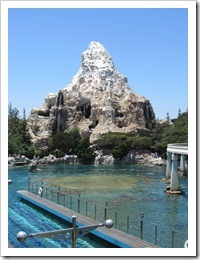 At that time I thought the best ride was the Matterhorn and I always waited to ride it once it was dark as it made the ride more thrilling. There was an “abominable snowman” that was inside the mountain with red eyes and was so scary. I loved the feeling and anticipation of riding that ride. That is how I want our patients to feel when they come to our office, that this is the best visit they will have and the experience will be better than any other physician’s office that they will visit. Our office as a whole needs to be onboard to give our patients this exceptional experience and we are thrilled when we hear how happy they are when they leave. For most businesses it is the customer’s choice where they choose to patronize. There are multiple grocery stores, restaurants, doctors and retail outlets in most towns competing against one another to gain loyal customers. What are customers looking for in order for them to become a faithful patron of a business? 1. Convenience. 2. To feel respected. 3. Quality product. 4. Reliable caring service. 5. Fair price. When you put it all together people want a great experience when they visit a business whether it is for dinner or for a new shower head. They want they want to come out feeling good about their transaction. If the experience is bad or poor, a customer will usually not return and worse yet, the business will never know why they didn’t return. In the past our business has surveyed our customers to see what they like, would like and don’t like about doctor’s offices and visits in general. The feed back was tremendously helpful to us, giving us actual insight into what patients want when they go to visit a doctor. Today there are multiple ways to find out what your customers might be looking for when doing business with you. Online polls and surveys that you can design have become very popular or you can do a simple paper check off list. Whatever way you choose the information you gather will point you in the direction to what your customers are looking for. As a visit to Disneyland makes you wanting to return soon, that is the feeling we want our customers to leave our businesses with. What can you do to make your customers want to come back and see you? This entry was posted on Monday, February 2nd, 2015 at 8:00 am by Tina Del Buono, PMAC. Filed under Business Improvement, Customer Service, Employee Management, Leadership, Manager Topics, Medical Practice Management, Team Work. You can follow any responses to this entry through the RSS 2.0 feed. Both comments and pings are currently closed.